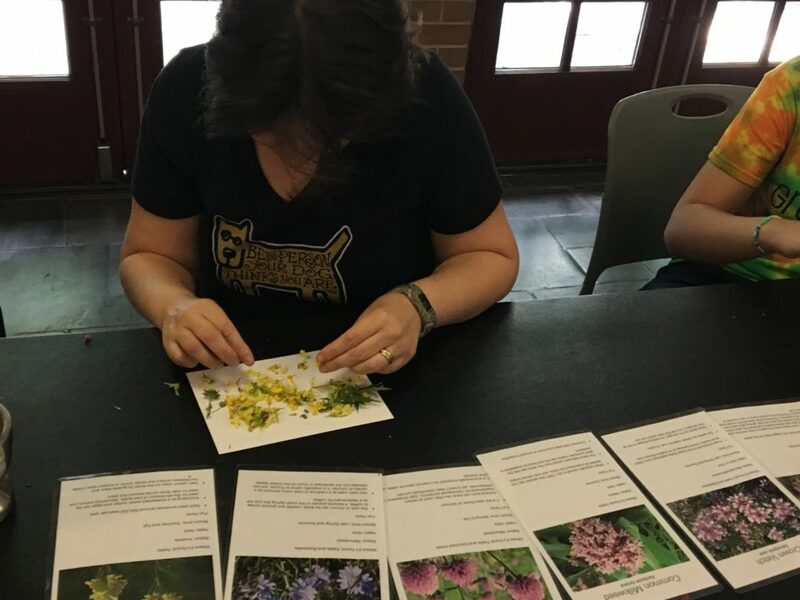 To make pigments, participants used petals from flowers from Freshkills Park. 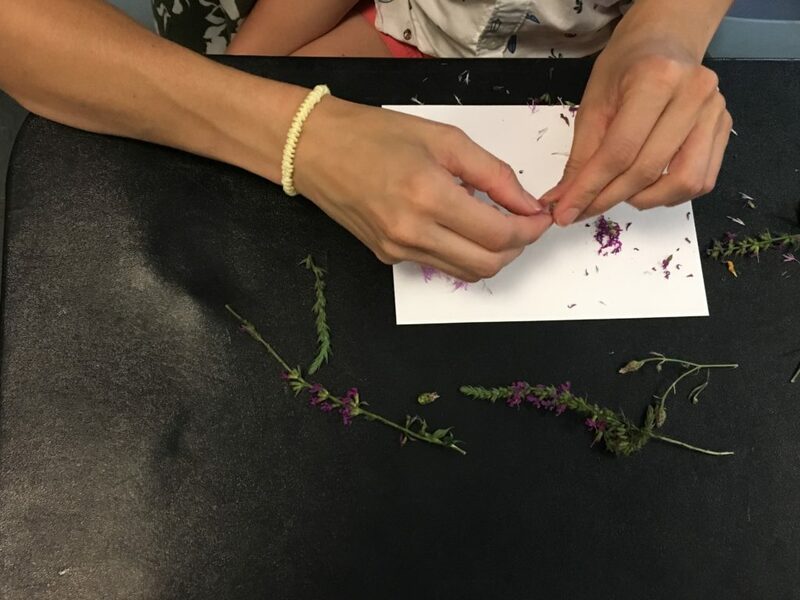 At the plantable paper workshops, participants created recycled paper that was embedded with a mix of local seeds. 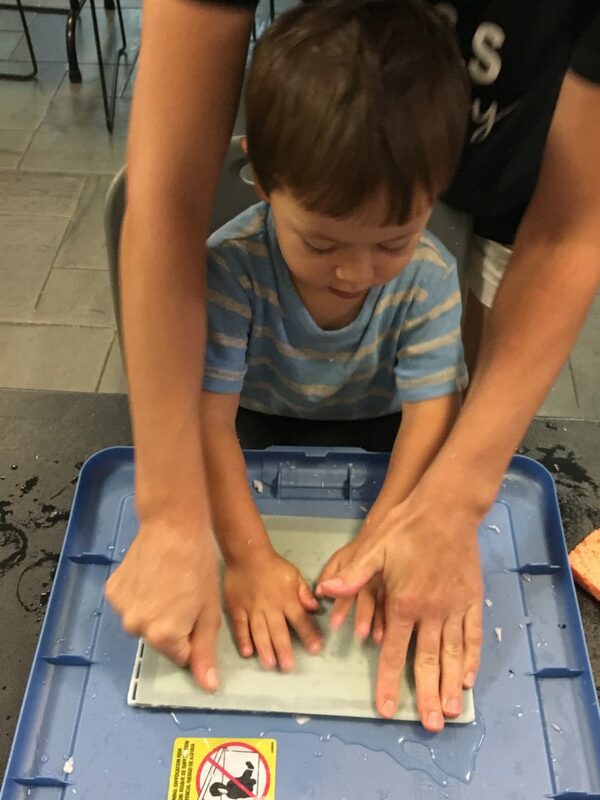 The paper was made by first blending a mixture of water and ground paper pieces to create a pulp. 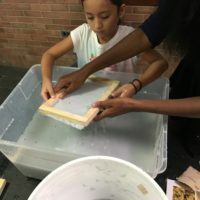 After mixing the pulp with a native seed mix, participants dipped a mold into this mixture to shape the pulp into a sheet. Once dry, these unique pages can be used as paper, and can be planted after their use. 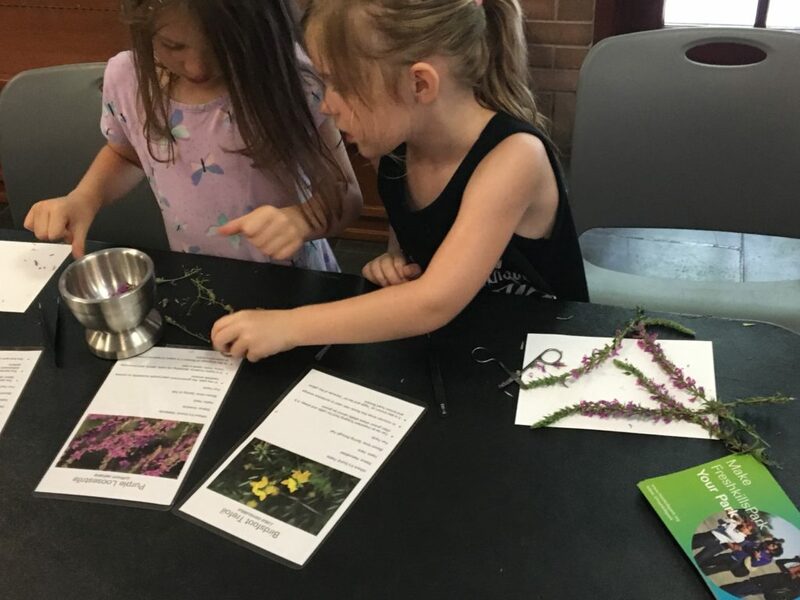 These native plants support native pollinators, which in turn support local food plants such as tomatoes, cucumbers, and eggplant. 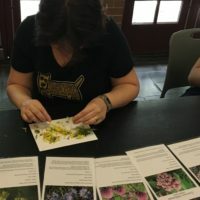 At the pigment workshops, participants learned to make watercolor paints out of different parts of native and invasive plants. 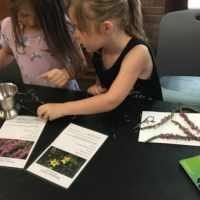 Participants ground up the petals, or leaves, of different plants collected at Freshkills Park and combined them with gum Arabic, water, and honey to create a slurry. This was then strained and either used immediately or allowed to dry. Participants also created field notebooks with paper made out of Phragmites, part of Susan Mills’ art project UnCommon Pages. Participants also painted pictures in their notebooks using the paints that they created! 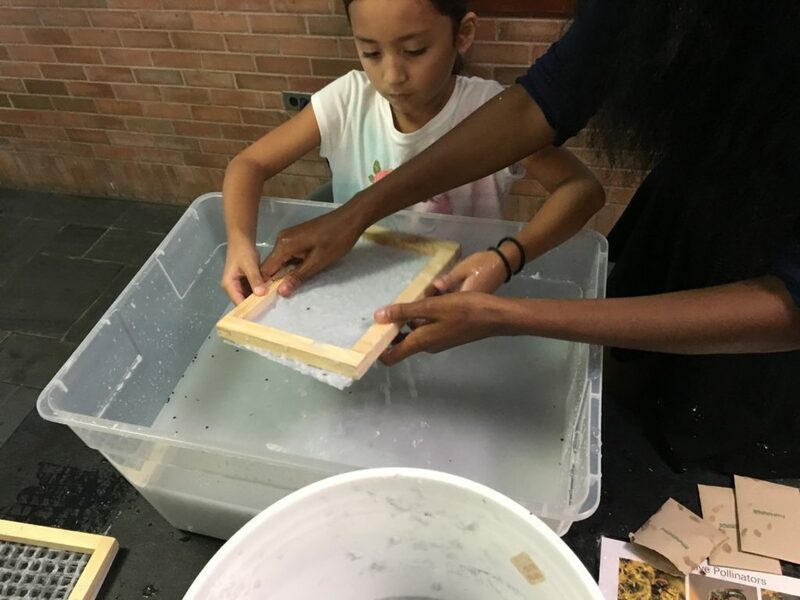 To make paper, participants dipped a mold into the native seed mix pulp. The native seed mix pulp is dried and shaped into a sheet of paper. 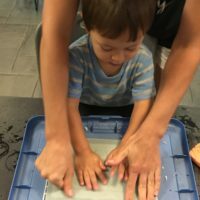 These programs were made possible through funding from the National Environmental Education Foundation (NEEF), and through the donation of paper-making supplies from Arnold Grummer’s.